Fuel your passion through arts, photography, gaming, theatre and more! The Amateur Radio Club, W9HHX, is an organization of amateur radio operators, and those interested in wireless communication. For the benefit of its members, the club maintains an amateur radio station capable of operating voice, and most of the new digital modes. The ARC would love to help you earn your amateur radio license if you wish or just hang out and enjoy sharing your ideas with other wireless enthusiasts. We meet weekly in CC347 during Friday free hour (Club phone 414-277-2315). A group sharing interest in cigars, pipes, and coffee. We are interested in improving the quality of campus dialogue. We are interested in bringing our technical minds to the forefront as we compete nationally in the debate-styled Ethics Bowl. We are interested in making the campus populous laugh at our satire. 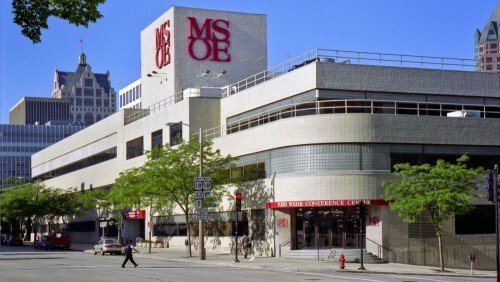 MSOE MIEC is an on-campus organization with a main focus of teaching students how to invest money and provide insight on business start-ups. MIEC engages its members in a Virtual Stock Exchange competition as well as in discussions related to the financial markets. While trying to maximize the experience of each member, MIEC schedules tours of financial institutions and brings in several different guest speakers with an extensive background in business, finance, and economics. There will also be roundtable discussions to talk about entrepreneurial ideas. MAGE is MSOE's Sci-Fi, Anime, Gaming, and Chess club. MAGE hosts gaming events and tournaments as well as Concinnity- the larget Sci-Fi and Gaming Convention in Milwaukee. Hang with the members and enjoy the flat screen TVs and gaming systems in the gaming lounge. Photography club is for anyone interested in the art of photography. Whether you enjoy taking pictures, editing pictures, or admiring pictures; all are welcome! We are a group of people who love photography and enjoy sharing our experiences, knowledge, and advise to all who show interest in photography. Participate in annual photo contests and display your work around campus. Theatre Troupe organizes and performs theatrical plays, dances, and other events for the campus and the community. Theatre Troupe also assists other organizations in technical and theatrical areas. Participate in the on-stage or back of stage tech crew! SUB is the largest student-run campus programming organization at MSOE. SUB works with the office of Student Life to plan fun, developmental, and social events for the students at MSOE. Ideas for events come from members of SUB, who also plan and carry out all events. SUB is known for their fun and creative events ideas such as SUB Zero Day’s Annual Fish Bowl Toss, Bucks game outings, Bob Ross N’ Chill night, Open Mics, Milwaukee community events, Bubble Ball, and so much more!